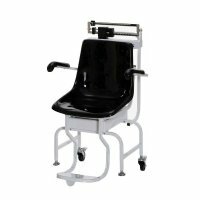 Chair Scale - Mechanical / Digital patient weighing products, are designed for weighing those who find it difficult or unsafe to stand on a conventional scale. Patient weighing scales, both Mechanical and Digital,offer movable arms for easy access and enable patients to be accurately weighed with comfort while ensuring accurate weight readings. The Digital Chair Scale utilizes motion-sensing weighing technology with large 1" LCD Display, while our Mechanical Chair Scale uses an easy to read mechanical beam with easy-to-read graphics and the innovative bubble-level indicator ensures optimum balancing and reading ease. 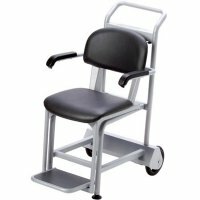 Both the Mechanical and Digital Chair Scales provide efficiency, safety and durability in long-term care and hospital environments.